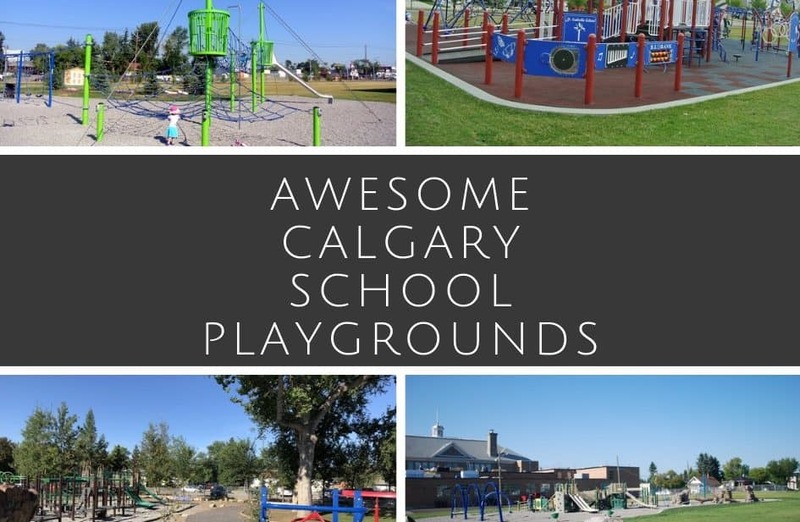 School playgrounds in Calgary are typically open to the public. However, you may be asked to leave during school hours and it is probably best to avoid particularly busy times such as recess and lunch. If you are unsure of the school schedule, you can usually find it online on the school’s website. 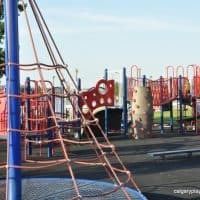 School playgrounds often look very much the same. Similar equipment, with pea gravel flooring with an uninspiring setting that lacks any natural features beyond some nearby grass. 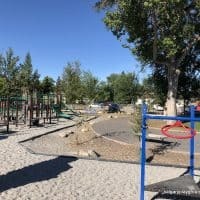 The playgrounds on this list buck the trend and provide really unique play spaces. 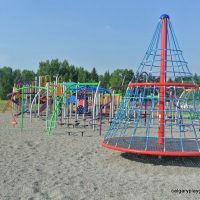 Eric Harvie School's playground has unique equipment and accessible flooring. 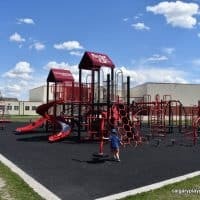 Saddleridge School's playground has accessible flooring and a tall roller slide. Midnapore School's playground has a great ramp system, a cool rocket ship climber and a nearby skate park. The ramp system at Erin Woods School playground is huge. Christ the King School's playground has some great overhead features, a large web spinner and accessible flooring. 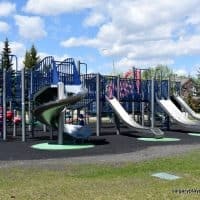 St. Sebastian School's playground has musical features, lots of slides and accessible flooring. 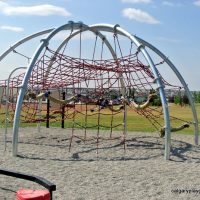 King George School's playground has some unique features, including a rope and log climber as well as some huge logs nearby that kids can climb on. 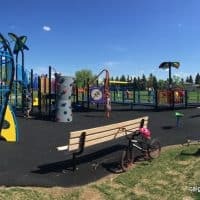 St. Isabella School's playground has unique equipment, accessible flooring and ground level features. The equipment covers a huge range of age and ability. 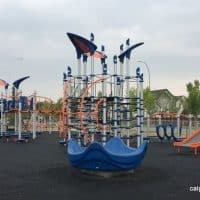 Collingwood School's playground primarily uses standard equipment, but they've added in some great pieces like the huge rope spinner and have a small sand pit and natural vegetation area nearby. 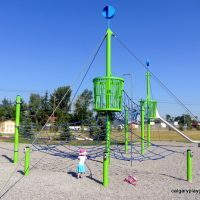 The saucer swings and huge rope climber gives West Spring School's playground an extra boost. 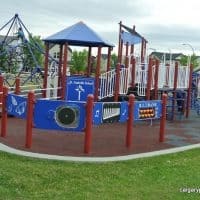 The equipment at Colonel Walker School's playground is unlike any other in Calgary. 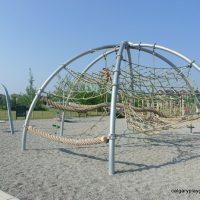 Nose Creek Middle School's playground has some unique equipment including a huge rope climber. 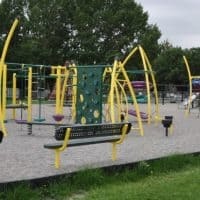 Brentwood School's playground has some unusual equipment and is great for older kids. 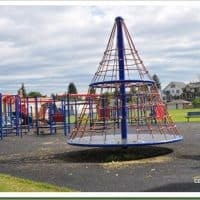 Rosedale School's playground has some lovely nearby trees, accessible flooring and a large rope spinner. 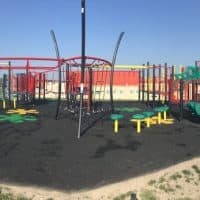 Simons Valley School's playground has accessible flooring, musical features, a huge rope climber and a large rope spinner. 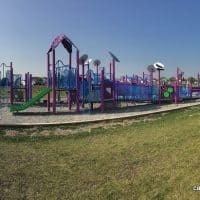 12 Mile Coulee School's playground is set up in a circuit-like pattern. 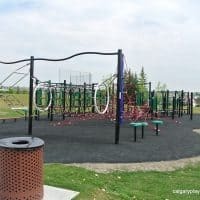 It was designed to be challenging and support the middle school’s phys ed and fitness programs. Queen Elizabeth School's playground has one of the nicest settings that I have seen. 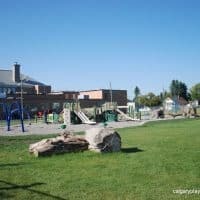 Although the equipment is fairly standard, the huge of natural rocks and rocks, pathways and trees make this school playground exceptional.